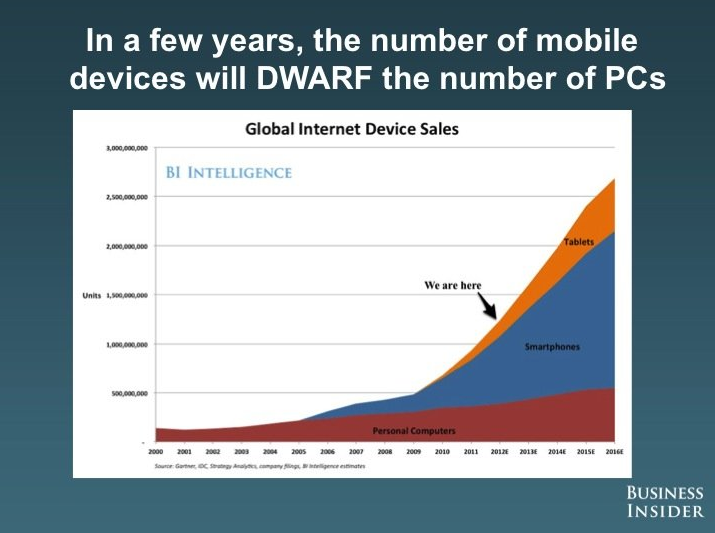 Financing for Web ad networks has not been strong while. Independent firms like Valueclick languish. Female focused ad network Glam Media, which plans an IPO, might be the one bright light. 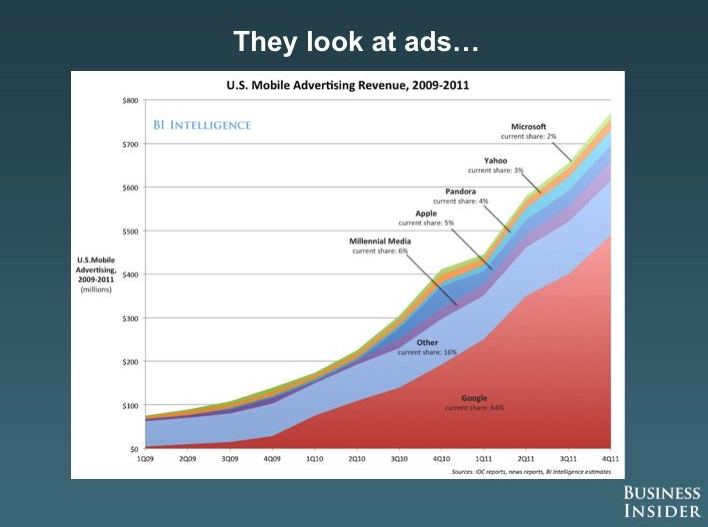 In contrast, mobile advertising is shining. Millennial Media has increased the price range per share for its upcoming IPO to $11 to $13 per share. The company previously had set the range at $9 to $11 per share. From 2010 to 2011, the company’s revenue increased 117% from $47.8M to $103.7M. We have been working with Millennial for a while now. Their ad quality is strong compared to other mobile ad networks. We can’t say they have a strong technology leg to stand on. In fact for publishers they have two consoles to login to. It doesn’t really make sense and they really can’t explain it. Other than the revenues what is really driving interest in the business is the two slides below.